Karen Miller can vouch for her mother's belief in the value of education. When Carolyn Jean Miller died at 60, her daughters Karen and Lisa Miller thought there was no better way to honor their mother than to establish a scholarship to encourage others to learn. "Both my sister and I had gone to college, and we had earned our master's degrees," Karen says. "We thought this was a great way to honor her." 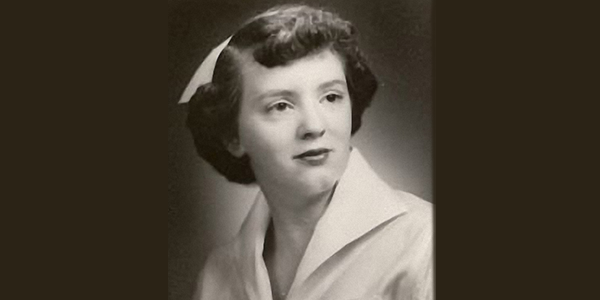 Carolyn was a Muncie, Ind., native and nurse. The scholarship honors her love of learning and supports nontraditional students, with a preference for single parents, just as Carolyn was when she attended Ball State University. "We decided that's what we wanted to do with the money we inherited from our mother," Karen says. "We wanted it to be a permanent endowment so we donated enough into the initial fund to make that happen." "We felt that nontraditional students may have a harder time getting scholarships. Plus, if they were trying to work and raise a family while going to school, the money would help," she says. "We were grateful that our mother had a nursing degree and profession to fall back on. She was a good nurse and well-respected by others. A lot of people who would normally give to my mother at birthdays or anniversaries now contribute to the scholarship instead." Much to their delight, Carolyn Jean Miller's legacy has been passed on, not just in terms of education and accomplishment, but also in strength of character. "She'd be pleased with the recipients of the award," Karen says. "We hope that the recipients are always those with values, work ethic, and an appreciation of the importance of family. Mom would be happy." Contact D. Mark Helmus at 765-285-8312 or dmhelmus@bsu.edu and we'll help you get started with creating a plan that protects the important people and causes in your life.